Okay, so I am so totally jealous of many of you. I keep seeing all sorts of posts filled with delicious Fall foods: pumpkin, cinnamon, apple. There are daily mentions of Pumpkin Spice Lattes and cooler weather and rain. Needless to say, any Pumpkin Spice Latte I order will be iced. It’s September and Fall starts in a few days. I want to bake pumpkin bread and apple pie and make soup for dinner. But, after standing in the pick-up line at school or sitting at soccer practice in 90 degree heat, all I want to eat is ice cream. So I made some for you. 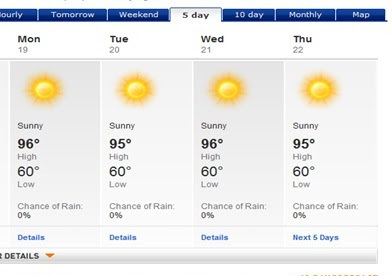 In case you live in a place like here or Arizona, where Fall doesn’t follow a calendar. All summer I kept seeing recipes for two-ingredient ice cream (the two ingredients being fresh whipped cream and sweetened condensed milk). I was trying to think how to make such an ice cream with lower-fat ingredients so wouldn’t eat an entire container of full-fat ice cream all by myself. That’s when I thought of Cool Whip, because it comes in a fat-free version. 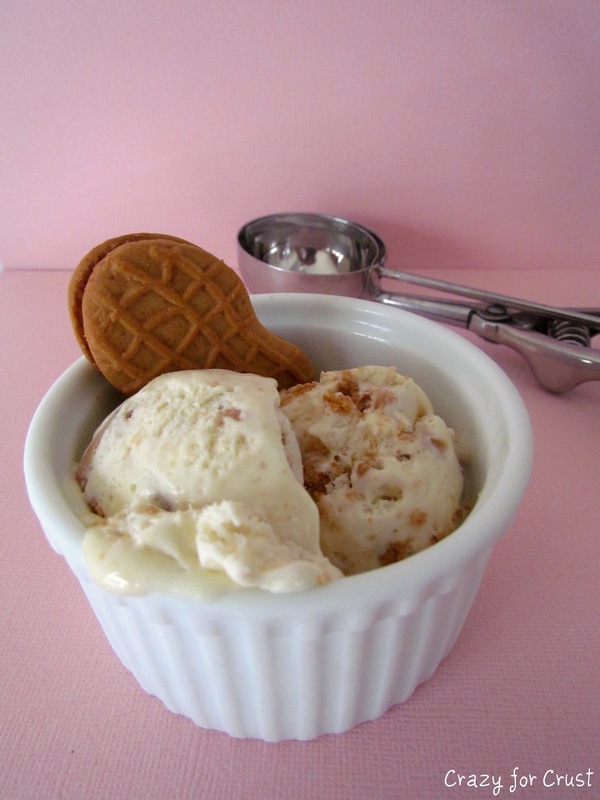 And it’s a no churn ice cream recipe! So I made two-ingredient ice cream with fat-free Cool Whip and fat-free sweetened condensed milk. Then I added some Nutter Butters because all that fat-free cancels out any other fat and calories in any mix-ins. It’s a scientific fact. I think I read it somewhere. Someday it will finally cool off. The leaves will drop and I will complain about raking. Then it will rain for 3 straight months and I’ll long for summer. But right now, some consistent 80 degree days would be awesome. Until then, it’s ice cream for me! 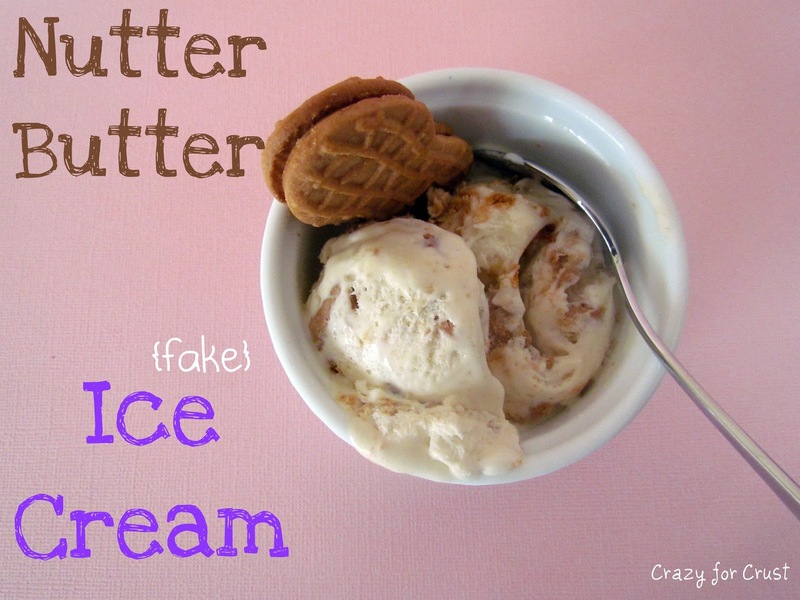 This easy no churn nutter butter ice cream has just 4 ingredients! Add Cool Whip, sweetened condensed milk, and vanilla to a Tupperware container. Stir until combined. Fold in chopped cookies. Cover and freeze until hardened, about 4 hours or overnight. Oh I don’t envy you…any extreme is not for me. My fingers and toes would be blue year round up there!